Santorini Holiday Cars offers pickup and dropoff services of rental cars to Santorini’s locations, which you choose when booking online. We will be at the pickup location you selected and the best of all – There is no extra charge for this service! Using the Santorini Holiday Cars car rental reservation form, select the desired pickup and dropoff locations of your rented car. Fill in the time and date of pickup and dropoff, select your car and complete the booking process. We will be there, at the pickup location you selected the date and time you wish! There are many other reasons why renting a car in Santorini makes it easy for you! 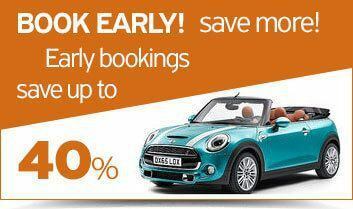 Start your booking and find great rates for car rentals of all types! Renting a car in Santorini allows you to set your own schedule, and is an inexpensive service that helps you feel free. In addition to the freedom to drive on exciting new routes, you can plan day trips to the beaches and the many sights of Santorini at the times you want, without depending on local transport, taxi and timetables. Santorini Holiday Cars offers you free Pickup and Dropoff of your rented car, 24 hours a day at the Santorini International Airport (JTR) at no extra charge. Santorini is served by two ports: the new port of Athinios and the Old Port. Cruise ship passengers land at the Old Port while merchant ships are docked at port of Athinios. With Santorini Holiday Cars you can rent your car and choose to be delivered to the new port of Athinios without any extra charge! When you arrive, our people will be waiting for you by holding a billboard with your name so that you can easily find us. Without delay, we deliver the car of your choice and assist you with your luggage. We also provide a free Santorini map and directions on how to get to your hotel. It is the easiest and most comfortable way to start your Santorini vacation! 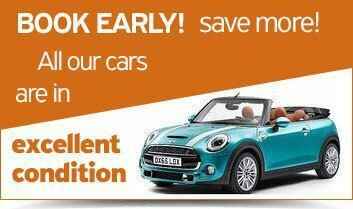 Choose your rental car through the Santorini Holiday Cars booking form at the best rates and we deliver it to any Santorini hotel at no extra cost! In the online booking form fill in the name of your hotel and in which area of Santorini is located and we will deliver your rented car to you at the time and date you set! Santorini Holiday Cars offers you free car pickup and dropoff service at Fira, the capital of Santorini, 24 hours a day. Car hire in Santorini offers you independence and makes your holidays even more suited to your needs. Not only can you visit popular tourist attractions with your own program but thanks to the cheap rental, you can design personalized excursions throughout the island. Santorini Holiday Cars has a fleet of high quality cars in various categories and types. Choose one of our cars, among the top car brands, and book online according to the model that best suits your needs. Santorini Holiday Cars’ central car rental office is located in Kamari Santorini. Our office is conveniently located in Kamari, close to Santorini Airport. Our prices are the lowest on the car rental market in Santorini, while we provide excellent quality services for caring for our customers with new car models. Our aim is to offer you the best car rental services in Kamari at the best prices. 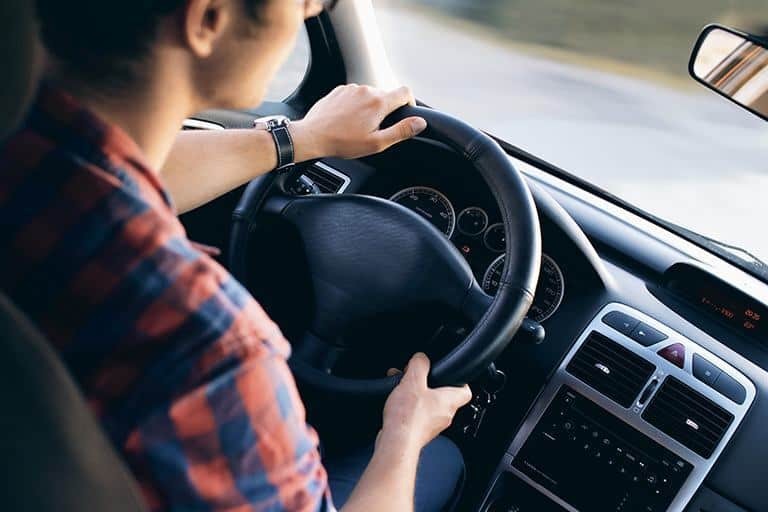 Each rental car that we have is fully equipped with the latest amenities and safety features that ensure that your Santorini routes will be safe and comfortable. It has never been easier to find a rental car at Kamari at a competitive price, while we are always beside you to give you information and answer all your questions, ensuring the quality and efficiency of our services. Book your car rental in Kamari, Santorini today and enjoy your holidays! Santorini Holiday Cars also offers free of charge pickup and dropoff services in Firostefani, Imerovigli, Perissa, Oia as well as in all the other areas and villages of Santorini!